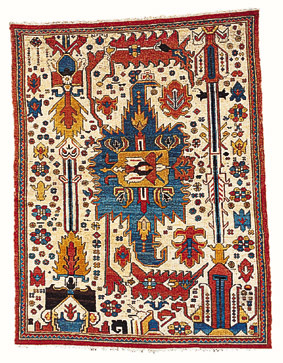 A wagireh is a sampler rug that gives a weaver enough of a pattern to weave a whole rug. 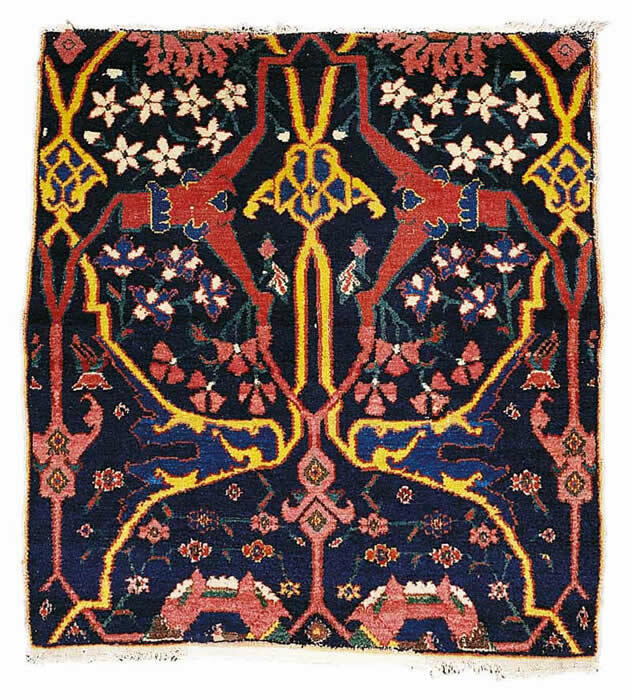 The wagireh has to be big enough to transmit the pattern, A Bidjar wagireh, Sotheby's lot 87 (Left) is 8 ft. 11 in. 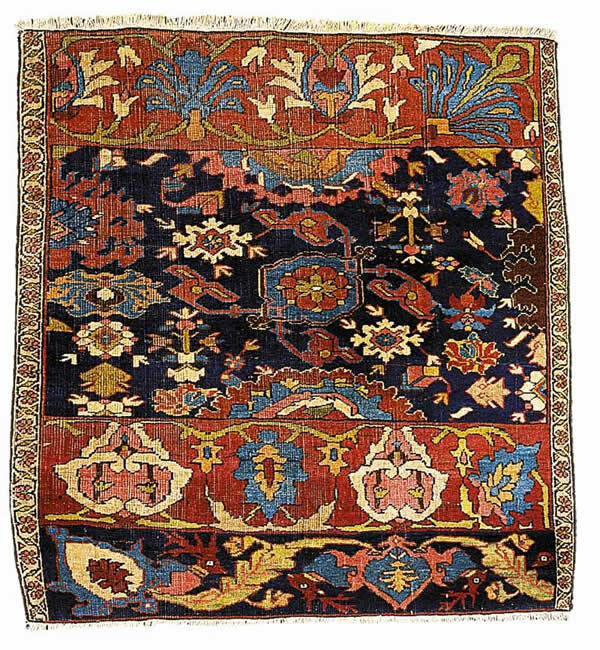 by 5 ft. (2.72 by 1.52 m.), The reason the wagireh is that large is that is how large it needs to show 1 "repeat" of the pattern. 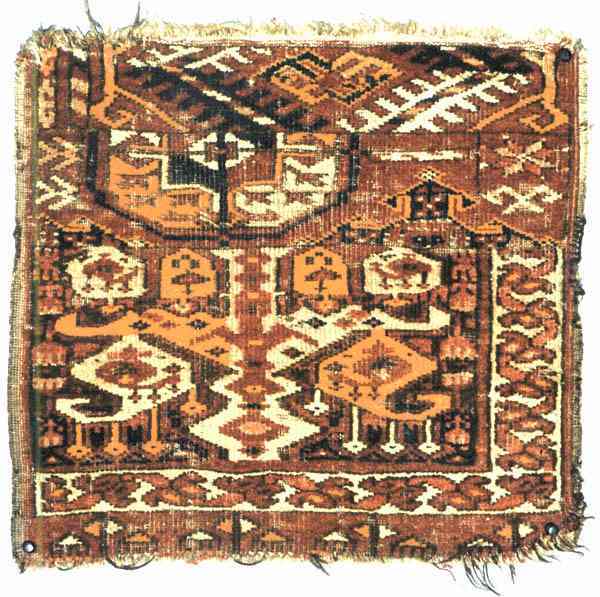 In a carpet where the pattern is a small repeat like a Herati pattern a relatively small wagireh is needed. 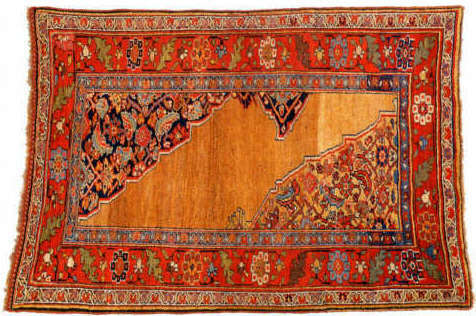 In a carpet where the pattern is large such as the one on the left then the wagireh has to be much bigger. 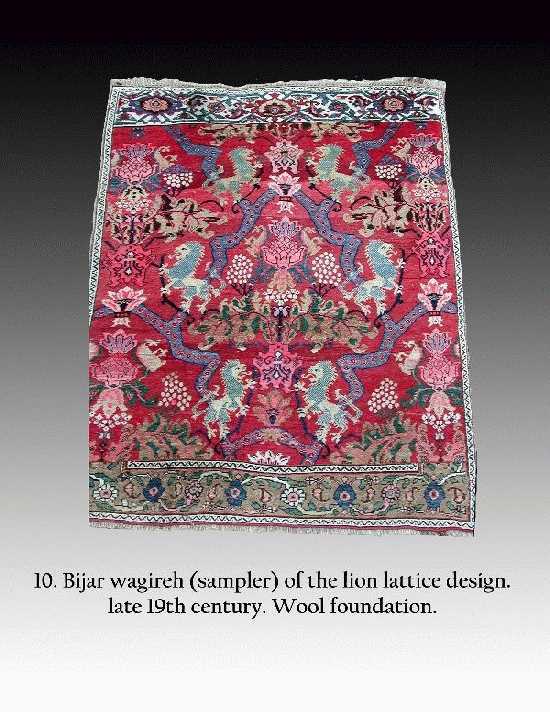 The wagireh to the left would work for a carpet about 8 1/2 by 11. The pattern would repeat twice with the left half mirroring the right half bifurcating on the central axis. 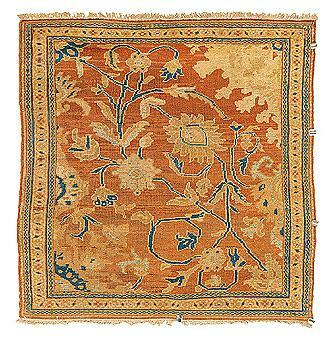 It could also be repeated more times for larger carpets. 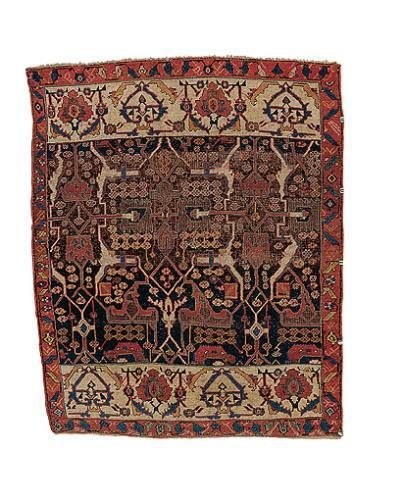 Pile partly low, minor damages to sides, one re-knotted area, lower end slightly reduced. 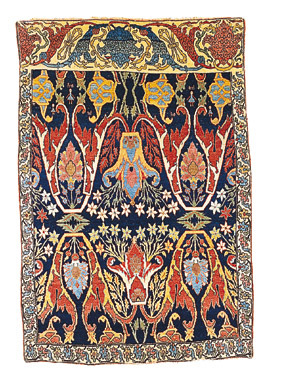 "Split arabesque" design. Good condition. 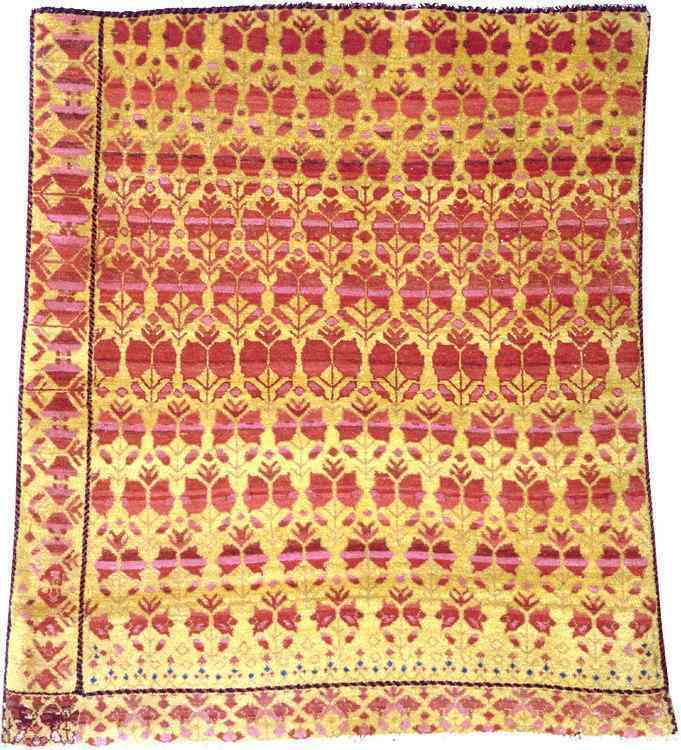 Vaghirehs were used as samplers by weavers to show the various patterns within the repertoire of a given area. The overall graphic and chromatic balance of the best of these pieces makes us forget that we are dealing with design model. 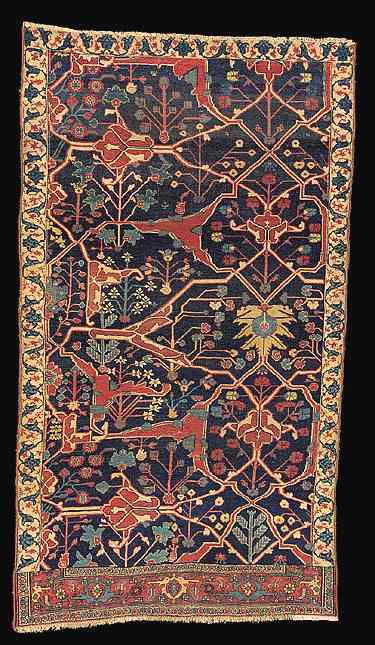 Indeed these samplers can often be much more fascinating than the actual rug, and, as in this very sweet example, can be considered works of art in their own right.